I have not owned or tested the previous Picollo amp so I can’t draw any direct comparisons but tonally the Picollo DAC comes across as warm to neutral with a very smooth response from top to bottom. The top end lacks a bit of headroom extension compared to some other similar priced amps such as the Duo and the bottom end has a very slight mid-bass elevation but nothing distracting or dominating. The presentation is more smooth and clear than dynamic and clean for me personally using W4’s. 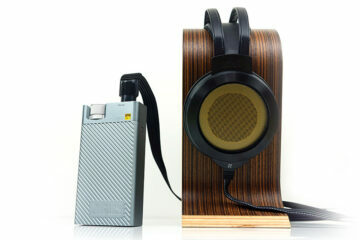 It is not as rich and lush as Duo but is has the type of presentation that is easy on the ear and very non-fatiguing. The Picollo’s gentler easy on the ear approach might not make it the most throat grabbing bass experience but it doesn’t mean it is bass light or bloated and slow, just not as forward and aggressive as say the DX90’s own dynamic bass presentation or the thicker weight of the VorzAmp Duo, especially with the bass switch flicked on. However the Picollo’s bass more than makes up for that lack of aggressive midbass slam from other amps by projecting good detail, tight articulation and zero sloppiness or excessive bloat. Mids are the strongest asset of the Picollo Amp and perhaps a bit more forward than the bass and treble section making them feel more prominent in the overall presentation. Vocals, in particular female vocals, sound excellent with fantastic grain free control. Recordings from the likes of Agnes Obel which project a very close perspective and are very prone to sibilance both in terms of how they were recorded and how some amps react to her breathy semi whispering type vocals. The Picollo DAC keeps everything in place perfectly whilst retaining a high degree of fun and musicality throughout. Like J. Gordon Holt famously states, “If the midrange isn’t right, nothing else matters” so I am glad to see Cypher Labs pay particular attention to the tuning for the mids on the Picollo DAC. The treble on the Picollo DAC is slightly rolled off compared to the mids and bass but never really comes across as syrupy or too colored. Now that might be fine for some matches and people tastes but for me personally I would have liked to have seen just a bit more extension and slightly more forward presence just to give a give it a more air and a greater sense of space. 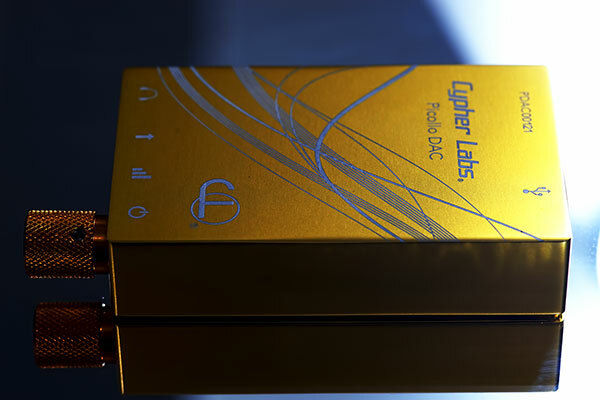 Background noise is zero on the Picollo DAC, which, judging by the review of the Picollo amp before it, solved the omnipotent impression that Cypher Labs amping was tuned primarily for headphones and secondary for IEM’s at a certain level of sensitivity. Every single IEM I threw at the Picollo DAC came up with the same very low background noise result which was very reassuring. For reference this included the UE900, T10i from RHA, Westone W4, UM Merlin, 1964EARs V8, AWW’s W300AR, Heir Audio’s 8.0, Dita’s The Answer and the Minerva Mi-Pro Artist CIEM. All of them have varying degrees of efficiency ranging from 16ohms right up to 35ohms with the Heir Audio 8.0 which benefited greatly from the additional controlled amping in terms of weight and dynamics. My ‘go to’ IEM has been the Westone W4 for some of my recent reviews and it pairs quite nicely with the Picollo DAC’s rather smooth and slightly neutral presentation. It is not the most expensive and can seem slightly dated now compared to higher end customs but can be much more forgiving especially on upper mids and vocals in comparison. The Dita ‘The Answer’ dynamic driver also sounded excellent. It also had much more life in the treble than the W4 and a bit more of a cutting edge in female vocals as well as having a wider and deeper soundstage than the W4. Perhaps my favorite match though was the Heir Audio 8.0. That huge soundstage of the 8.0 added a much needed extra dimension over the W4 and Dita as well as being equally as forgiving, lush and smooth as the W4’s midrange. Interestingly I found the 8.0 was also a bit easier to drive than the Dita which I hadn’t expected give the higher impedance of the 8.0 (35ohms). Yup it works, it’s simply plug and play exactly as Cypher Labs stated and given its a Samsung Galaxy S3 it also does digital audio direct out via OTG instead of having to work the magic through a USB Audio Recorder Pro app. Compared to direct out of the jack of the S3 the Picollo on OTG cleans up the signal really nicely producing a much smoother, grain free and spacious sound than the S3 is capable of. The S3 is not the worst of the cell phones out there by a long shot but the Picollo is a clear upgrade. 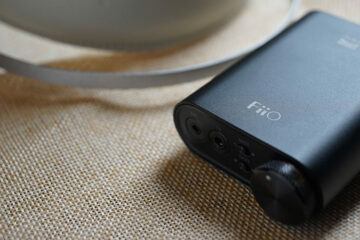 Compared to the similar setups such as the FiiO E18 the Picollo DAC doesn’t have quite the same treble extension and sense of space but its a lot smoother and more controlled with a superior midrange – perfect for long bus journey listening sessions.